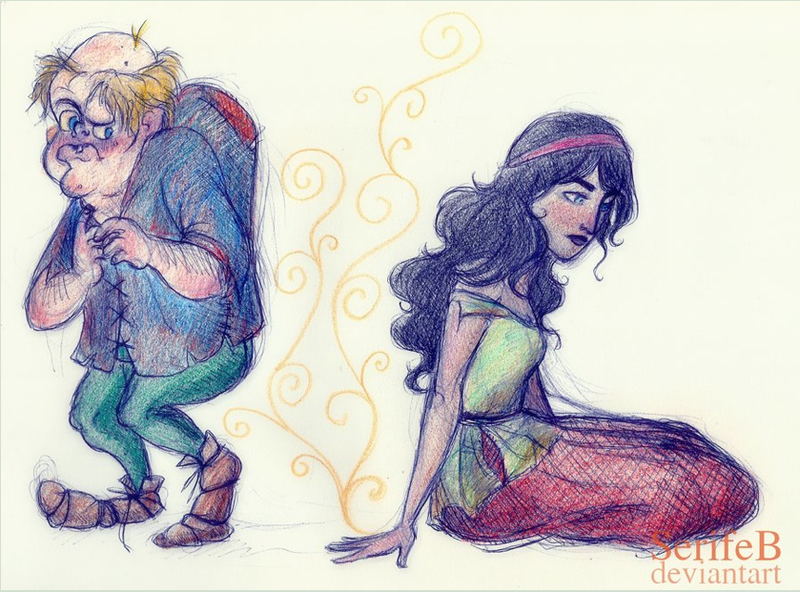 Today’s Fan-art is by SerifeB and it’s a traditional drawing of Esmeralda and Quasimodo. I love the use of colors, it’s so pretty. I also really love the positioning of Esmeralda and Quasimodo.